mas que barbaridade tchê...que frescura é essa de "stand by"? Enquanto isso, todo o mau humor do fã-internauta! 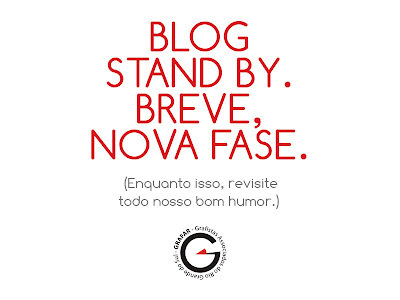 Grande Stand by, já chega de espera, he he he. Mas essas férias do Tinta estão maiores que a do Adriano do Flamengo! Só falta a noiva do blog também fazer um barraco e quebrar o carro de todo mundo! It isn't hard at all to start making money online in the underground world of [URL=http://www.www.blackhatmoneymaker.com]blackhat method[/URL], You are far from alone if you haven’t heard of it before. Blackhat marketing uses alternative or misunderstood avenues to produce an income online. só tem esquerdista nessa porcaria de blog! enquanto isso, podemos percorrer os blogs de "los obreros del dibujo"
Making money on the internet is easy in the undercover world of [URL=http://www.www.blackhatmoneymaker.com]blackhat seo tools[/URL], It's not a big surprise if you have no clue about blackhat marketing. Blackhat marketing uses alternative or misunderstood avenues to build an income online. Inacreditável, mas dois pederastas terminaram com o Tinta. Que se foda o coletivo. heya i am a newb here i do allot of [URL=http://www.mydjspace.net]dj mix[/URL] in my free time. I will be able to contribute on this message board and should stay around! queremos Sica, queremos no buteco, vamos trabalhar...vagabundagem.